(Left to right) Said Habbaba, Malak Habbaba, and Iman Akroum. The word malak means angel in Arabic. Malak is also a six-year-old Fresno girl who was born in Aleppo, Syria in 2010. A few months before the war in Syria started, her mother, Iman Akroum, and father, Said Habbaba, threw a large celebration for her birth. Akroum named her daughter after an aunt they left behind. Since Malak carries her name, it is like a piece of her is still with them. My translator is a Palestinian immigrant named Wasan Abu-Baker. While we are at their home, the children are watching Mickey Mouse on television with the English subtitles on. 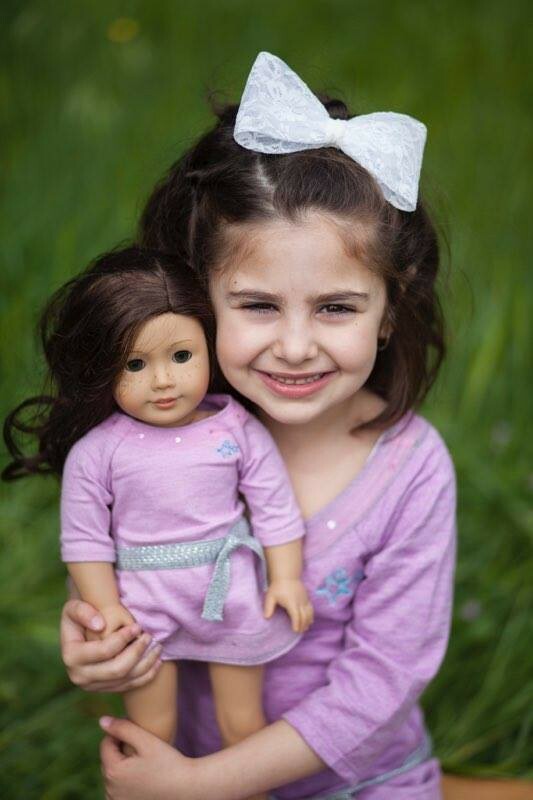 Malak holds her favorite toy, the American Girl doll a friend from Texas sent her. Abu-Baker tells me that Malak’s mother Akroum went to law school in Aleppo and was a lawyer there. Her father Habbaba was born and raised in the city and graduated from Aleppo University with a bachelor’s degree in business administration. Before leaving Syria, he was a well-known contractor and developer, a successful businessman, and an active community member. Habbaba loves to travel and has visited several countries around the world. The war in Syria started when Malak was just seven months old. Her parents felt unsafe staying in their homeland. They fled to Egypt, then to Jordan and stayed there for a few months. But Habbaba thought the war was temporary and would stop before they went back to Aleppo. The family had left all their belongings in Aleppo because they believed the war would end quickly. Everything they owned there has since been destroyed. Habbaba thought about relatives he had in the United States and decided it would be the best place to go. The family applied for tourist visas to America and arrived here in Fresno, California. Once they arrived in the United States, their journey started, living with their relatives for three years. Those loved ones helped them adapt to American lifestyles, to make friends, to go to school, and to learn English. Even though they left before the war became what it is today, it was not easy. Akroum and Habbaba had to rebuild their lives. A local doctor provided the house they live in now. Two years ago, they met Wasan Abu-Baker — an immigrant from Palestine 13 years ago — who works with Fresno Interdenominational Refugee Ministries (FIRM). She has been a vital resource for refugees like Akroum and Habbaba, helping them get the floors replaced and the house painted. The couple now operates a catering company that serves Syrian food out of their home in Clovis. They graciously made some for us while we were there. It was delicious. Malak with her American Girl doll. Photo by Kiley Taunton of Choose Joy Photography. Abu-Baker and Akroum have become close friends after meeting at My DEEN, a local Islamic community center. It is a non-profit organization that provides different services to the community, especially children and youth. “Community centers bring people together, they also provide people with safe places to share their own stories and accept people the way they are,” Abu-Baker says. Conversely, Akroum and Habbaba have a very different life here than they did in Syria where they were more affluent and had long-time professional careers. As one of the more established families here, Abu-Baker says they are quite successful, though. “They drive, work, and have a lot of support from the Muslim and Christian communities here.” Akroum is taking classes at Fresno City College and has made friends with her neighbors, including those who have volunteered to tutor the family. Since Abbaba knows a lot about Syrian history and life in Syrian cities, he is a valuable resource to call on to discern what strategies and services newcomers will need. The stories of Syrian refugees come together like a multi-patterned tapestry. They had varied experiences before the war and stayed there for different lengths of time during the war. Some have lived in refugee camps, some have not. Some go to more than one American city before settling into a community here. Many have migrated to different places within the Middle East before coming to the United States. There is a spectrum of mental health needs. Those who arrived in the U.S. earlier have had an easier time integrating and generally suffered less trauma than those who are coming from Syria now. The largest group of refugees in the Fresno area were settled in El Dorado Park where there are about a dozen families. “Many of them were farmers, mechanics, truck drivers, construction workers, carpenters, butchers, and house painters in Syria. Few have higher degrees.” Given the depressed job market here, finding a job can be hard even with a degree. The biggest challenge is the language barrier, so providing opportunities to acquire English skills is paramount. FIRM has been working to set up career training programs, as well. 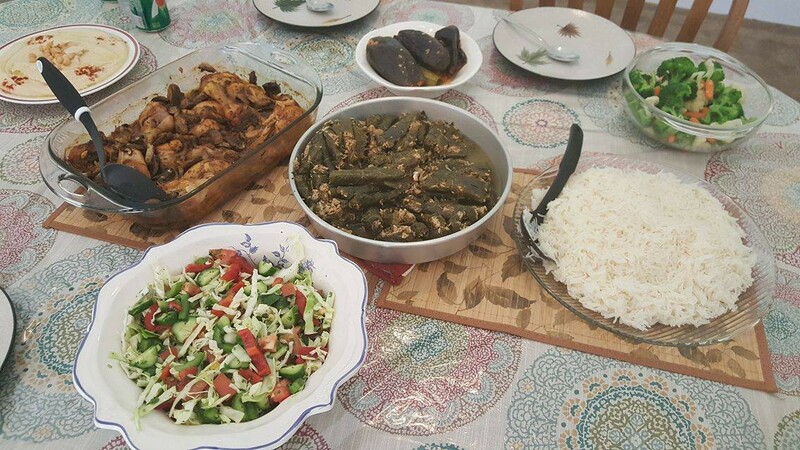 Iman Akroum’s Aleppo cuisine. Photo by Hannah Brandt. Abu-Baker says she has been “connecting the head of FIRM, Zach Darrah, with the families through home visits. Building relationships with families are important because as people get to know one another, it [fosters] understanding. 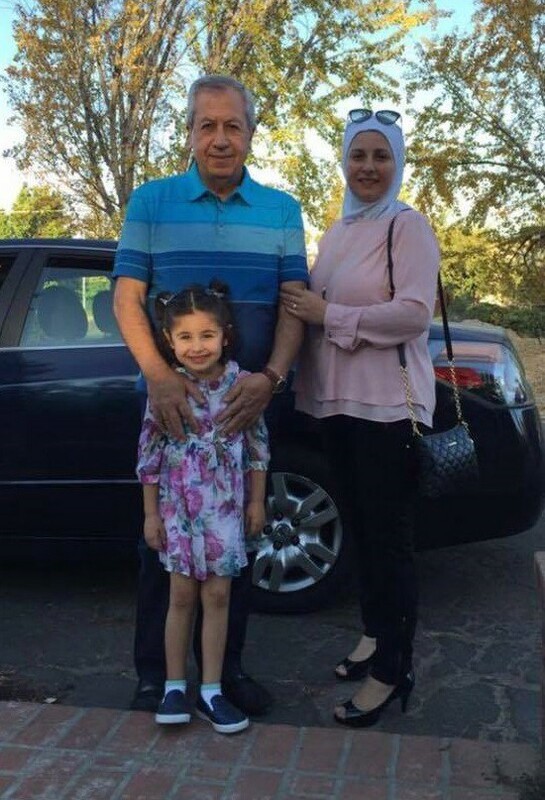 People get comfortable and build memories.” Initially, Abu-Baker was working alone but soon too many refugees were coming from Syria to Fresno for one person to manage. Now she connects people to a network of community members and organizations. For example, teachers do a lot after school to help refugees, everything from tutoring to taking their children to activities. Although she is still very busy, Abu-Baker has enough help now that she can prioritize more time with the newer families. In March, Abu-Baker organized the Fresno City Summit to help local refugees and immigrants, creating bridges between Muslim and Christian communities. She is one of four Arabic-speaking staff at FIRM. She says that immigrants always look for places where they can speak their language. In addition, this family has one ESL teacher for Akroum and one for Malak. Abu-Baker says they want the teachers who work with refugees to go through cultural training and to create a uniform curriculum for all the teachers to work from. Several people from CSU Fresno and FIRM are collaborating on it. While we are visiting with Akroum and Habbaba, one family contacts Abu-Baker about needing a crib and thanks her for the microwave they received. She says that refugees also learn to exchange things they do not need with other families. Akroum and Habbaba traded their skills, cooking meals for the people who replaced their kitchen floor. Meanwhile, their young daughter Malak “still does not really know Syria,” the country of her birth. Malak’s parents are concerned that she preserves her Muslim identity and Syrian roots as she integrates into American society. Her dad wants one day to take his daughter back to visit his homeland. Her mother hopes that Malak can meet her aunts and uncles there one day. To learn how you can help the refugee community in Fresno, go to https://www.firminc.org or call 559–487–1500. To acquire a menu and order Aleppo cuisine from Akroum and Habbaba, call (610) 790–4453.